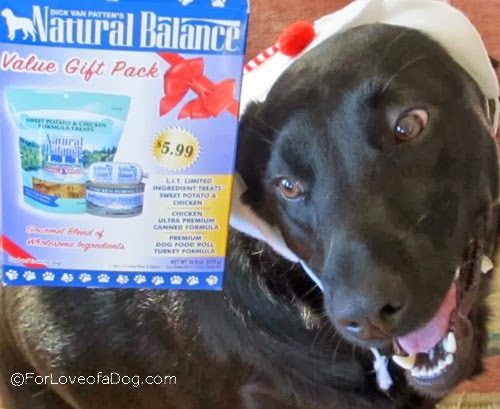 We love Natural Balance pet products, so when Chewy.com offered to let us try a Natural Balance Holiday Gift Pack, we were delighted. As always, Chewy.com shipped our order with speed and before we knew it, Jeffie had a fresh opportunity to guard us from the UPS delivery man. What a fun package arrived! 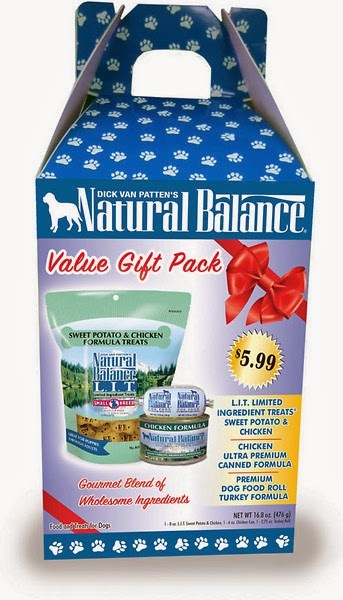 The Natural Balance Holiday Gift Pack contained a package of dog treats, a small can of dog food, and a roll of turkey dog food. What a fantastic way to give these Natural Balance products a try. Value priced at only $5.99, you can't go wrong. L.I.T. Limited Ingredient Sweet Potato and Chicken Formula Dog Treats - We received an 8 ox bag of Small Breed dog treats. I like the small size - perfect for training rewards. These are also available in a larger "Regular" 14 ox bag. Priced from $5.49 to $9.99. These are small, crunchy little cookie wafers. 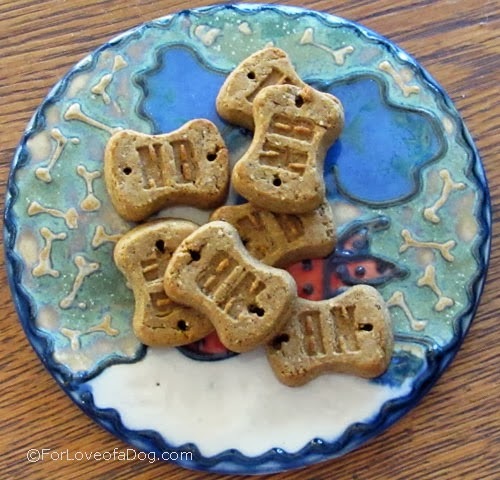 Grain free, made in the USA, and formulated for pups with allergies and/or sensitive stomachs. The small dog variety (which we received) are about 5 kcal per treat. The larger size are about 15 kcal per treat. Chicken Ultra Premium Canned Formula - We received a 6 oz can and noticed that in addition to chicken, it contains carrots, brown rice and potatoes. It looks like a thick stew when you open the can and definitely smells good. Available in 6 oz cans like we received and in larger 13 oz cans, cases are priced from $23.00 and $29.99. Premium Dog Food Roll Turkey Formula - We received a little miniature package that looked very much like a tube of turkey sausage. It smelled delicious. Even the dog daddy was drooling. Available in 1 lb, 2.5 lb, and 4 lb rolls from $6.99 to $13.99, but on sale now at Chewy. Rosie can hardly wait to try a Natural Balance dog treat. 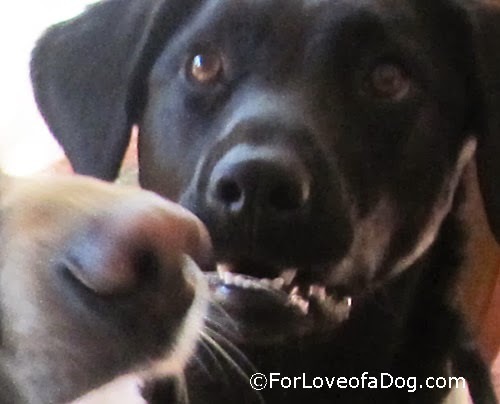 There are lots of reasons to like Natural Balance Pet Foods. Safety testing is important to Natural Balance and they even offer a quick and easy way to see the actual laboratory results of their products. You just need to know the type of food and the product date code. 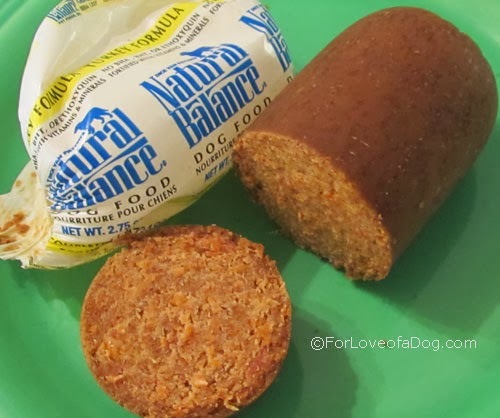 Natural Balance features several different formulas in their pet food and treats, so you're bound to find one good for your pet. Currently Natural Balance is partnering with the Petco Foundation to raise one million dollars for the Military Working Dogs Monument. Funds are being raised through direct donation, as well as the sale of Natural Balance Limited Edition Jerky Bark treats. Chewy.com gives back via their Shelter and Rescue Network. 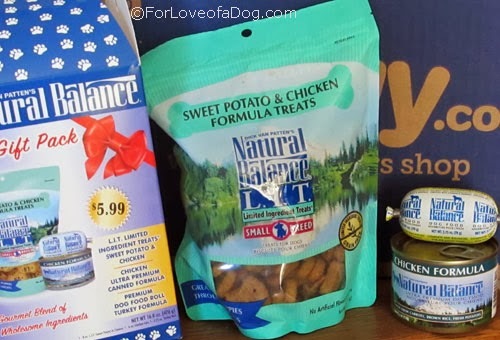 * We received one Natural Balance Holiday Value Gift Pack from Chewy.com in exchange for our honest review of the product and service. We received no other compensation - financial or otherwise. I have always liked natural balance, they do a good job with their foods and offer lots of variety. I frequently recommend them to my clients as they offer lots of sensitive stomach options. We love their little treats too, very handy. Looking at that turkey roll is making me hungry. What a great review! 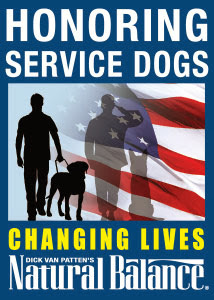 Great review I like how proceeds go to the military dog monument. One day I want to visit that. They sound super yummy, I know everyone is crazy about Chewy.com! What a tasty blog today!! My boys are drooling! Looks like a yummy gift pack! Yum! That turkey roll looks especially delicious. This sounds like a good company and products. If Rosie says it's good, we believe it!